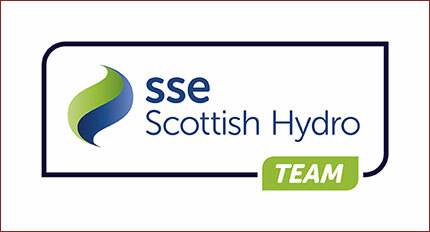 SSE Scottish Hydro today announced continued support for the Team SSE Scottish Hydro programme, which provides financial support and advice for emerging talented professionals on both the European Challenge Tour and the Ladies European Tour. This morning, six Challenge Tour players and two Ladies European Tour players were announced. For the men, Andrew McArthur, Jamie McLeary, George Murray and Duncan Stewart return, and they are joined by newcomer Wallace Booth and also Jack Doherty, who returns to the Challenge Tour after a tough 2014 on the European Tour. In addition to the Challenge Tour players, Chris Kelly will continue to receive support on the Tartan Tour. For the ladies, Pamela Pretswell continues to receive support for a third year and is joined this season by 2014 LET Rookie of the Year runner-up Sally Watson. The year 2014 was one of the most successful for the programme, which saw Kylie Walker secure two victories on the Ladies European Tour and McArthur win for the second time on the European Challenge Tour. Whilst Walker secured her highest finish on the Order of Merit in 11th place, McArthur once again narrowly missed out on winning his full European Tour card and hopes he can finally turn his consistency into a top-15 finish in 2015 and a place on the European Tour. Both McLeary, 34, and Doherty, 33, are previous members of Team SSE Scottish Hydro who won their Tour cards in 2014 and are set to benefit once again from the support provided to them. McLeary, who qualified and then played all four rounds at The Open Championship at Hoylake in 2014, was one of the first recipients of support in 2011 and is an example of how the programme continues to help players as their career develops. Pretswell, meantime, is looking to follow in the footsteps of her close friend, Kylie Walker, and she has already started well in 2015. With three top-10 finishes already this year, she currently sits in seventh place on the LET Order of Merit. Watson joins Team SSE Scottish Hydro for the first time and she is also looking to improve on her very successful first year on the Ladies European Tour. Colin Banks, acting Head of Sponsorship at SSE Scottish Hydro, said: “We’re delighted to continue our support for some of Scotland’s top emerging golf professionals. Last season was a very exciting one for both Kylie and Andrew and we hope that this year’s professionals can continue this success. All of the Challenge Tour players will be returning to Aviemore to compete in the SSE Scottish Hydro Challenge hosted by Macdonald Hotels & Resorts in what will be the 10th consecutive year that the Challenge Tour has been staged in Scotland. Read the original article by Martin Dempster Scottish Golf Union website.